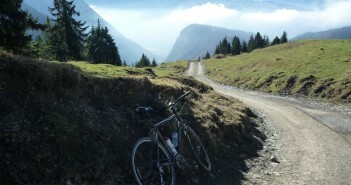 You are at:Home»Posts Tagged "samoens"
Another of my favourite late-winter alpine cycling climbs. 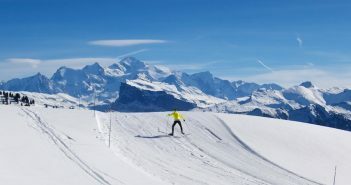 With the added bonus of cross-country skiing at the summit. 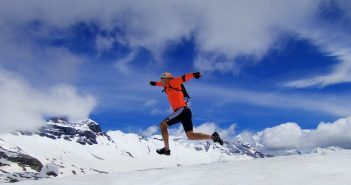 Col de Joux Plane – Duathlon? I may have a new hobby! 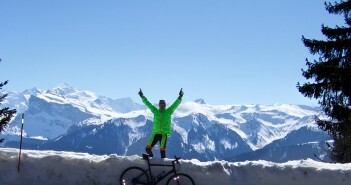 Cycle up a famous mountain. 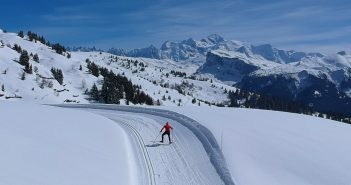 Then rent cross-country skis at the summit, and explore some more. A very, very fun day cycling up Col de Joux Plane and watching the Dauphiné. Photo: Vino reaches for newspaper for descent. Yes, this Tour de France legend is cyclable in winter. 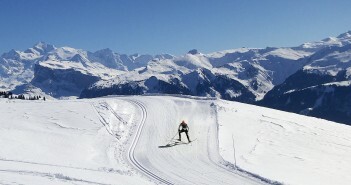 You know it’s a difficult loop when Col de Joux Plane is the easy climb. Surprisingly, when the winter weather isn’t too crazy, the road is open on the famous side.